Summer is heating up in the Maine Woods. 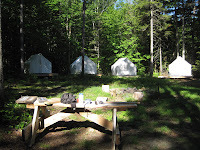 In addition to the weather getting more hot and hazy, the trail crew camp at the "Hodge" is gearing up for a busy summer. Camp Hodge is located on the south shore of Long Pond in the 100 Mile Wilderness in Maine's Northwoods and is the ideal setting for a summer packed full of trail work and adventure. 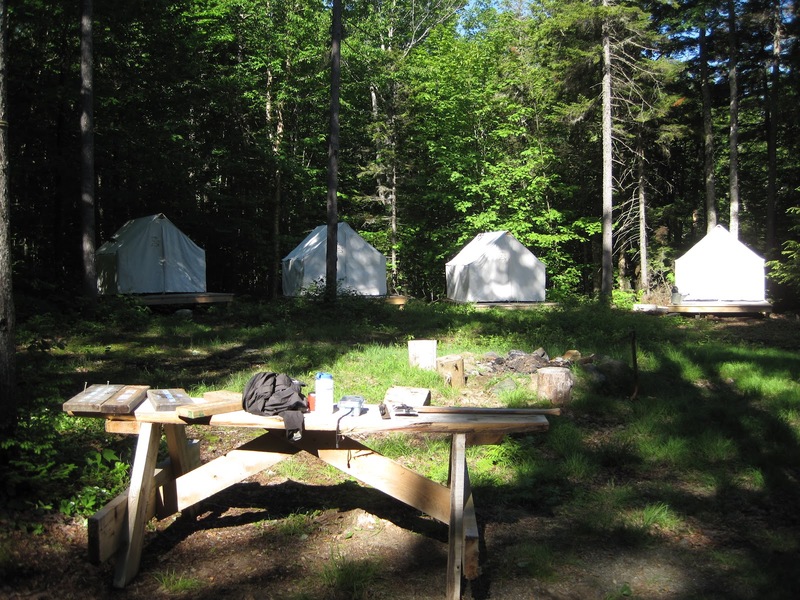 This summer's trail crew leaders, Leslie Ruster and Beth Gula, have spent the past week setting up canvas tents for the crews and installing a luxurious backcountry kitchen complete with a propane powered refrigerator and oven stove. Both crew leaders have remarked that this year's camp set-up is the most deluxe backwoods trail camp accommodations that they have ever seen. The floating dock will launch tomorrow. Ruster and Gula have been out scouting the trails with ideas for summer projects which may include native bog bridging, rock staircase construction, ski trail maintenance and Appalachian Trail corridor boundary work. In addition both leaders have been honing their Maine woods vernacular and learning the secret Maine woodsmen bug repellant recipes and are excited to impart this knowledge to incoming volunteers. Still looking for summer work and play? 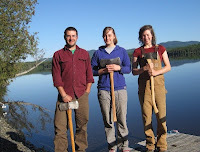 Consider the Maine Woods Teen Trail Crew Program for yourself or a teen near you!